Installing a new lawn is a significant investment in the overall appearance of your home. When it comes to hydroseeding, all hydroseed is not created equal! Each contractor has a choice of materials going into their mix. At Kable Landscaping, we rely on our decades of knowledge and industry experience to create a mix blended specifically for your landscape’s unique needs. We guarantee excellent results for all of our hydroseeding projects. You can be sure that we will treat your lawn like it is our lawn. If you’re not satisfied with the end result, we’re not satisfied with the end result. That is why we offer a 100% satisfaction guarantee. 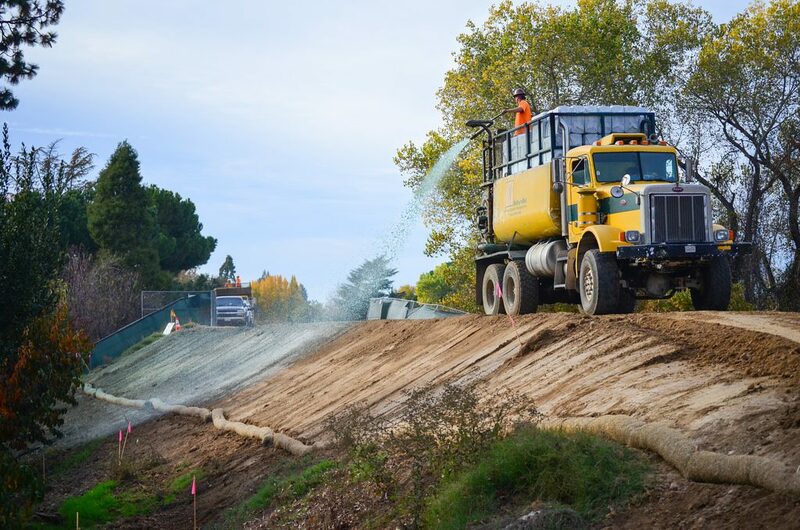 The process of hydroseeding can take as little as a few hours, but actually producing a dense and lush green space requires concerted follow-up and continuous care over the course of a few years. We ask that you have us provide your new lawn with fertilization for the first two years to ensure it is receiving proper nutrition and weed control. This also allows us to inspect the lawn and make any needed adjustments in the care of your new turf. You have our guarantee that your lawn will properly germinate and establish per industry standards. If there is a heavy rain, we will not leave you with a washout – we will hydroseed any affected areas once again. If you are ready to have a lawn that makes your neighbors envious, call Kable Landscaping today at (989) 695-5222 to talk to us about hydroseeding. We look forward to having you see green!